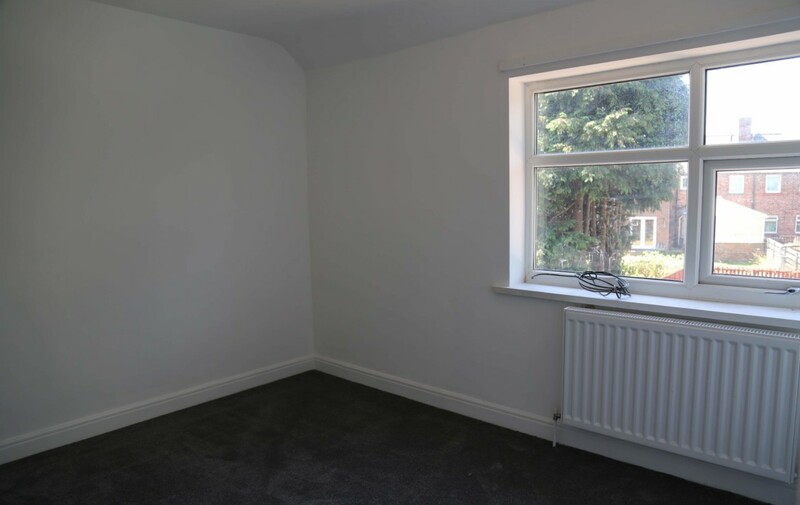 This home has undergone a full program of works and is presented as a blank canvas ready to move in to. 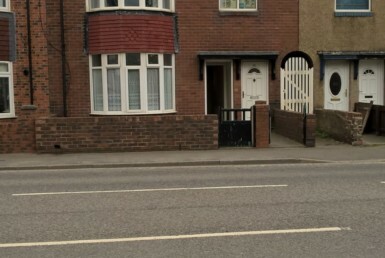 With a Kitchen Diner and 3 Bedrooms (2 are doubles) this will make a lovely family home. 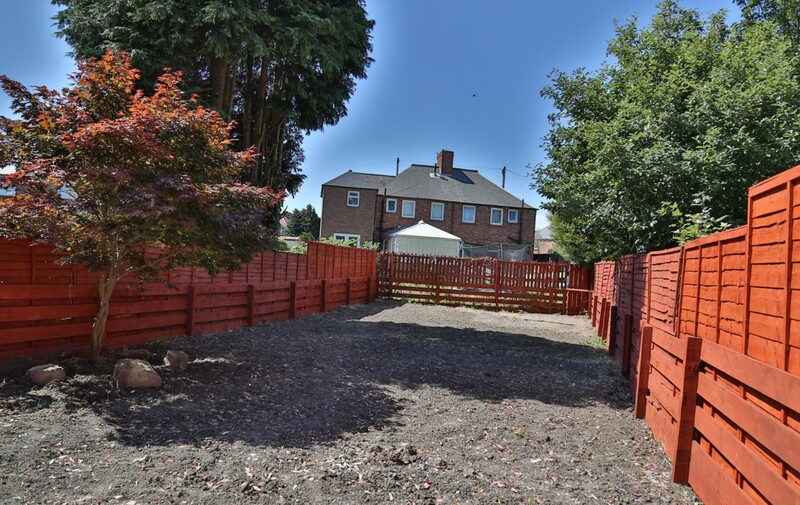 The large west facing rear garden is perfect for entertaining and watching the children play. 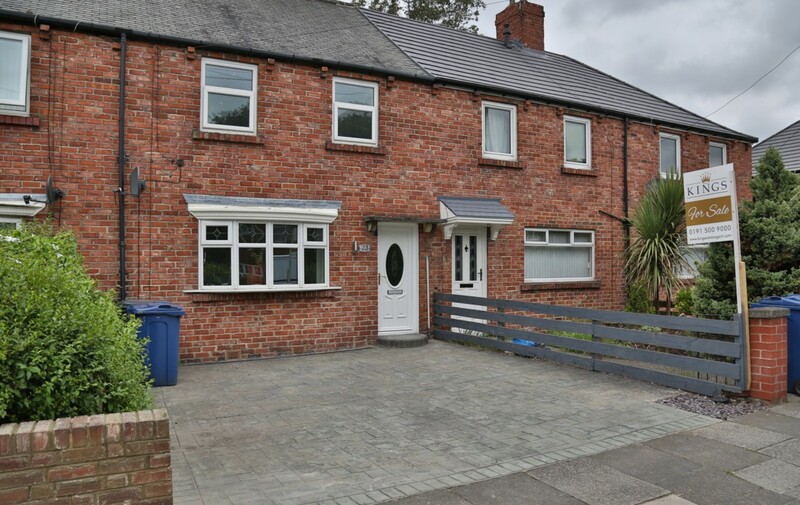 Nearby schools include St Aloysius and St Oswalds, grocery shopping can be done at the local Morrison which is nearby in Jarrow. Lounge – New laminate flooring in a stylish white ash/oak, bay window overlooking the front driveway. The chimney breast has been wired to allow for a TV with power and HDMI present. 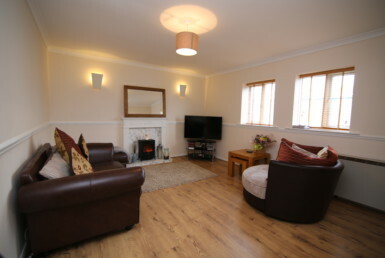 The original fire has been removed and a tiled recess with power for electric stove creates a lovely feature. White gloss wall and base units from Magnet are fitted with a contrasting laminate worksurface in Nebraska oak. Flooring is the same white ash laminate which continues from the lounge. 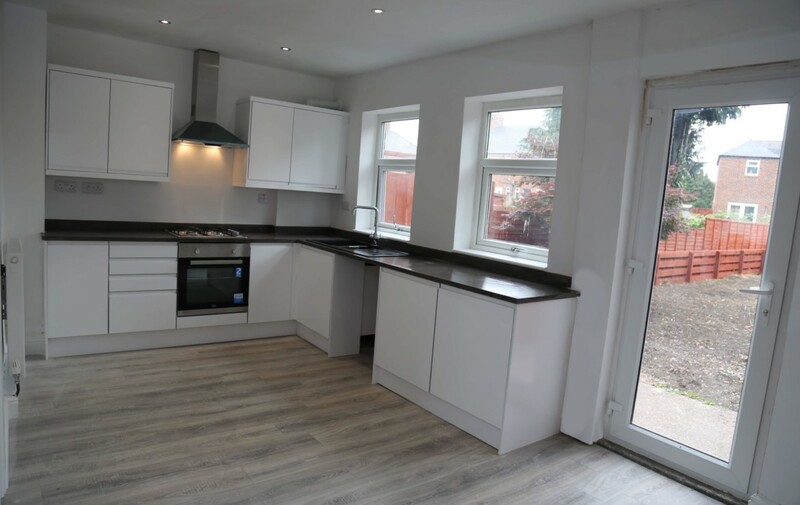 The kitchen units house a brand new Beko fan assisted oven, a gas hob and the new Worcester Bosch combi boiler, the facilities are completed with a Schock black composite sink and chrome tap. This kitchen offers lots of storage and also has space for a washing machine. Lighting to the kitchen area is via recessed spotlights while the dining space has a pendant like fitted above the dining table space. 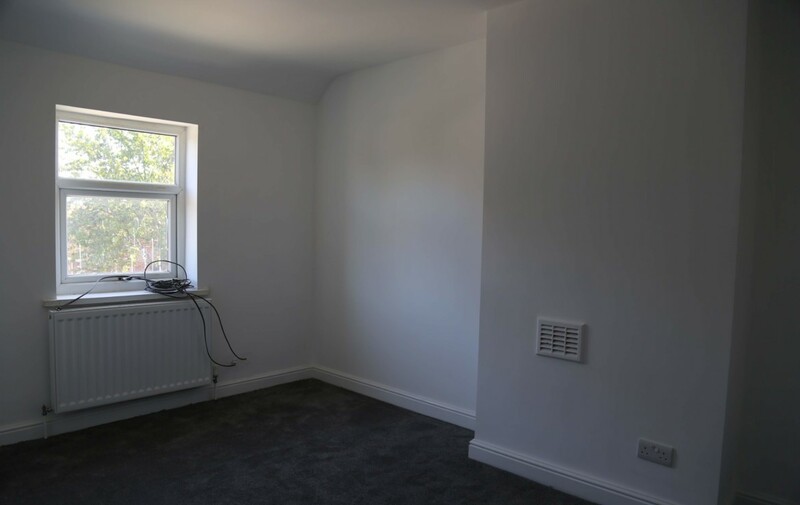 This spacious room is further enhanced by two upvc windows and a full length glass door which allows natural light to flow into this great entertaining space. 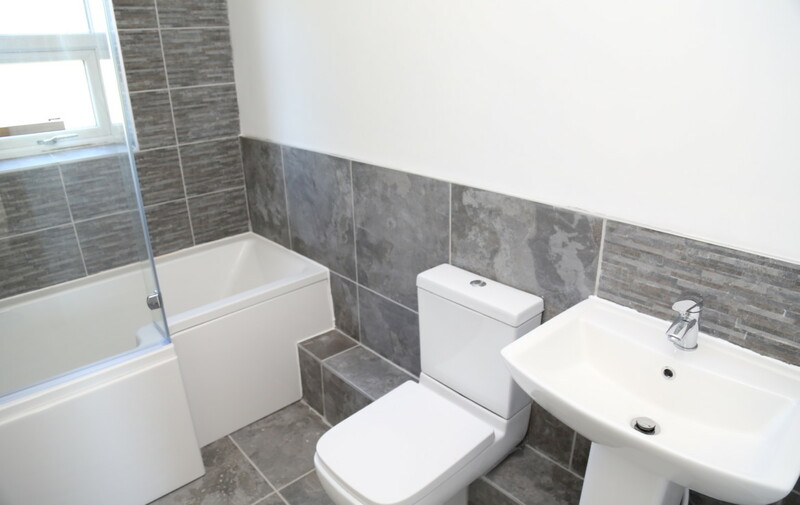 To the first floor you will find the family bathroom fitted with a white three-piece sanitary suite. Consisting of a L shaped bath with shower over and glass screen, a low level WC and a pedestal basin with mixer tap. The bathroom has been tiled with grey slate and split faced effect tiles to the feature wall and splash back. The tiling has been trimmed with a chrome edge to finish off and match the heated chrome towel rail and taps. The stairs hall and all three bedrooms have been fitted with new grey quality deep pile carpet. Painted in neutral white they are light and bright ready for the new owner to add feature walls or a splash of colour to you own taste. A large patterned concrete area to the front provides off road parking for two cars and standage for bins etc. The front door also has a motion sensor feature/security uplighter. The back garden stretches for 18 meters and has a lovely mature acer tree and a concreted patio area. Crucially the garden faces west and captures the sun until the late evening. 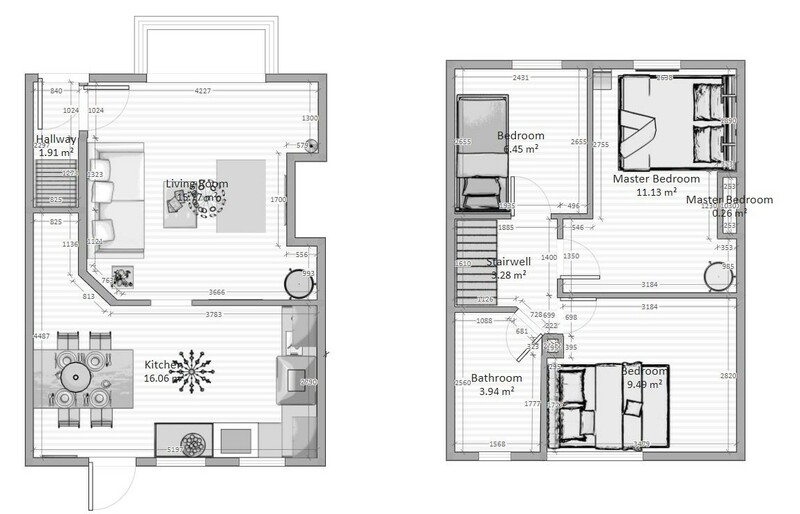 For room sizes please see the attached floorplans. 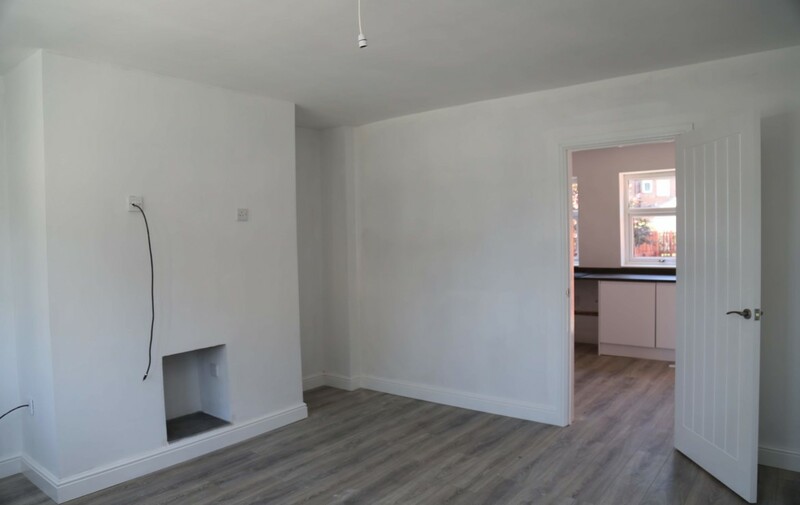 Book your viewing today to avoid missing out on a unique opportunity to acquire a fully refurbished affordable family home. These particulars have been created by Kings Estate Agent following a visual inspection of the property.  Whilst we believe all information to be accurate, these details should not be relied upon and purchasers should make further enquiries to confirm correctness. Please note appliances have not been tested. Any reliance the purchaser places on such information is at their own risk. Floor plans are as a guide only and you should not rely on any measurements provided or scale, interested parties should satisfy themselves of any measurements upon internal inspection. This layout features an open plan kitchen diner with a single family bathroom on the first floor. This layout features a kitchen with wrap around breakfast bar suitable for high seating, it also includes a ground floor WC.